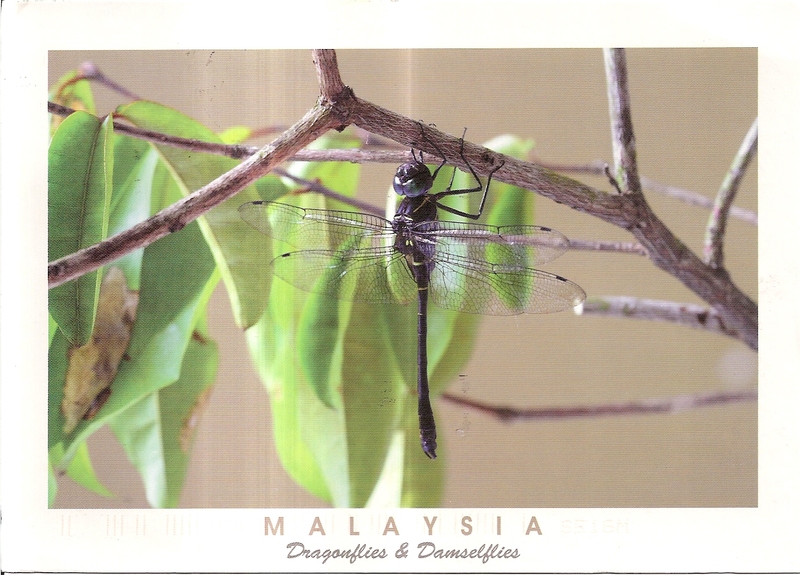 A dragonfly postcard from Malaysia, sent by Ian Choong. The postcard shows Epophthalmia Vittigera. Ian is so skillful at taking photos of dragonflies and making his own postcards. At the back, Ian affixed one stamp that features the Sultan of Pahang and the Sultanah with the royal regalia of the Sultanate of Pahang. 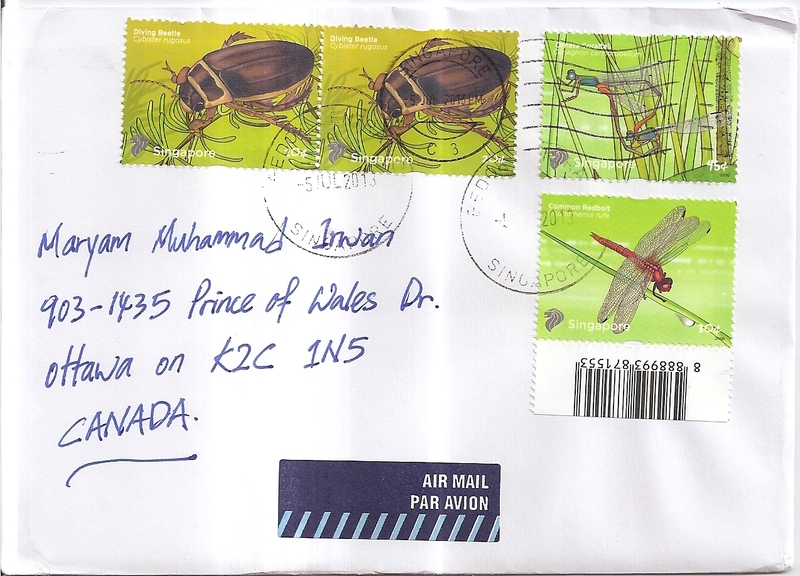 The postmark date is 3 September 2013 and the location is National Mail Center. Thanks a lot Ian! A postcard from Åland, sent by Andy for Vacation RR in postcrossing forum. 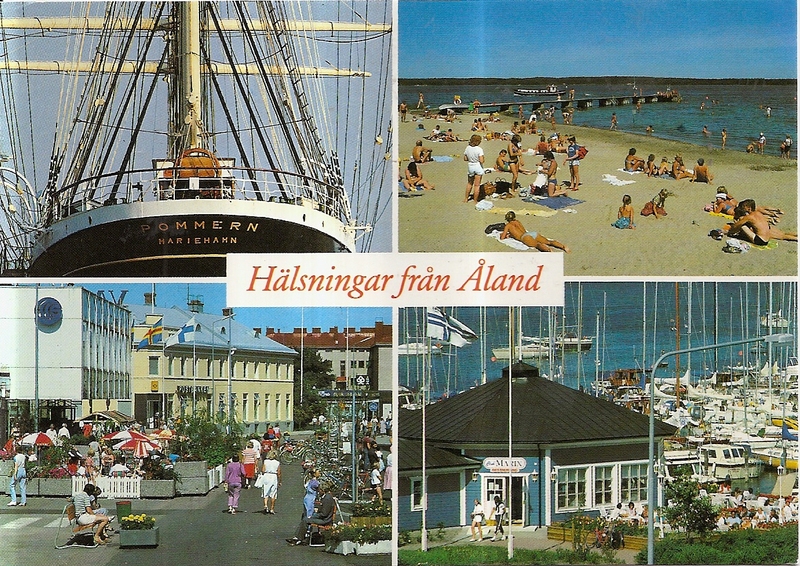 It’s a multiview postcard showing four photos of Åland Islands. At the back, Andy used one Europa stamp featuring a dragonfly. 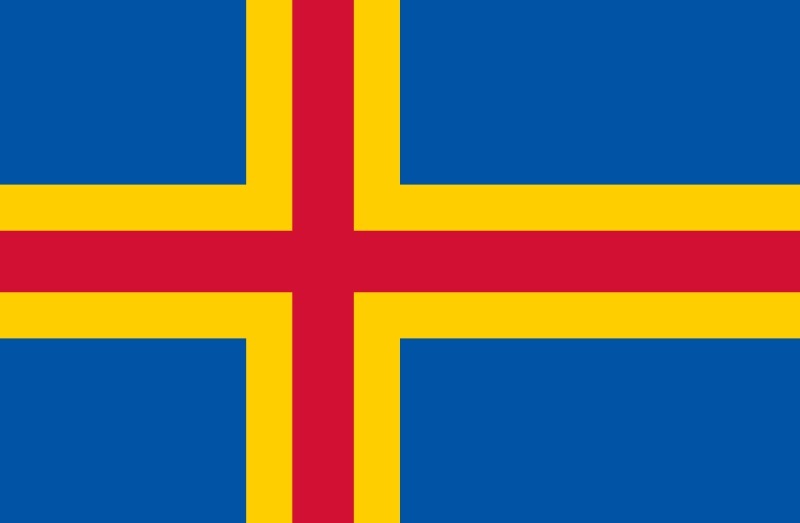 The postmark date is 13 August 2013 and the location is Mariehamn, the capital of Åland. Thanks a lot Andy! Another cover from Singapore, this one is from Wee Leong. 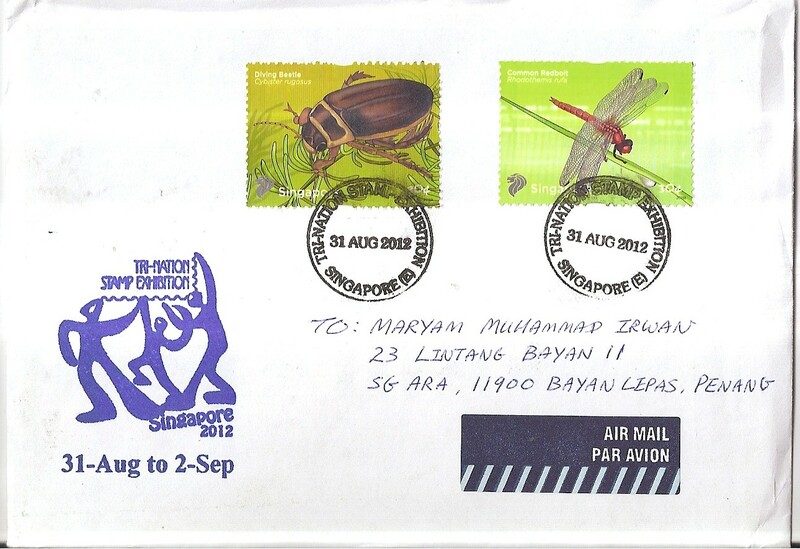 On the cover, Wee Leong affixed four insect stamps: two diving beetle stamps, and two dragonfly stamps. The postmark date is 5 July 2013. 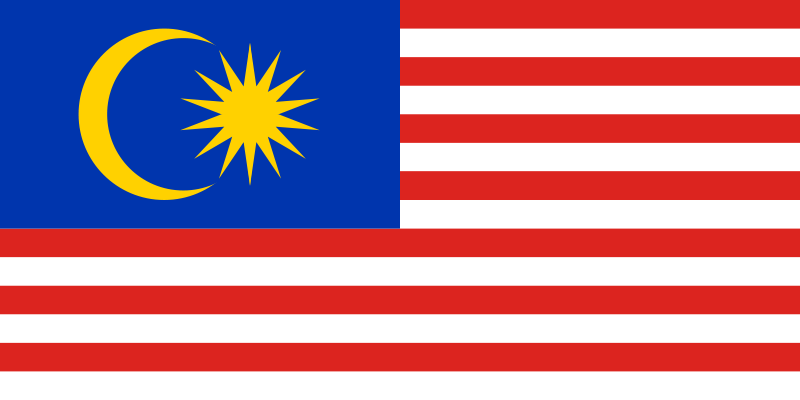 Thanks a lot Wee Leong! 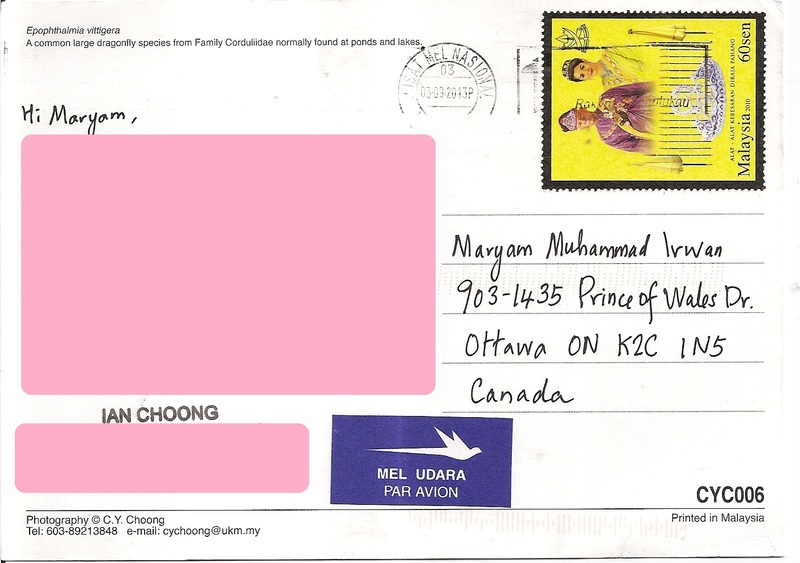 A cover and postcards from Singapore, sent by Terence Wong. 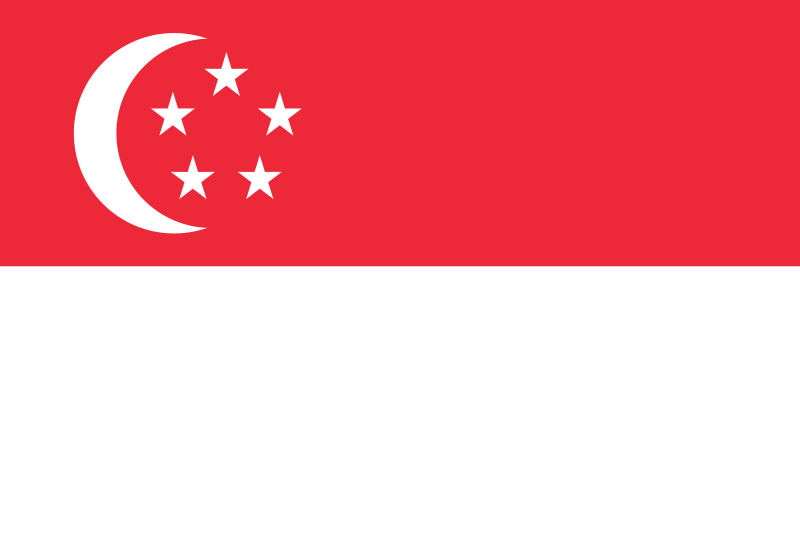 The cover bears a special stamp from the Tri-Nation Stamp Exhibition held in Singapore from 31 August to 2 September 2012. Terence used two stamps. 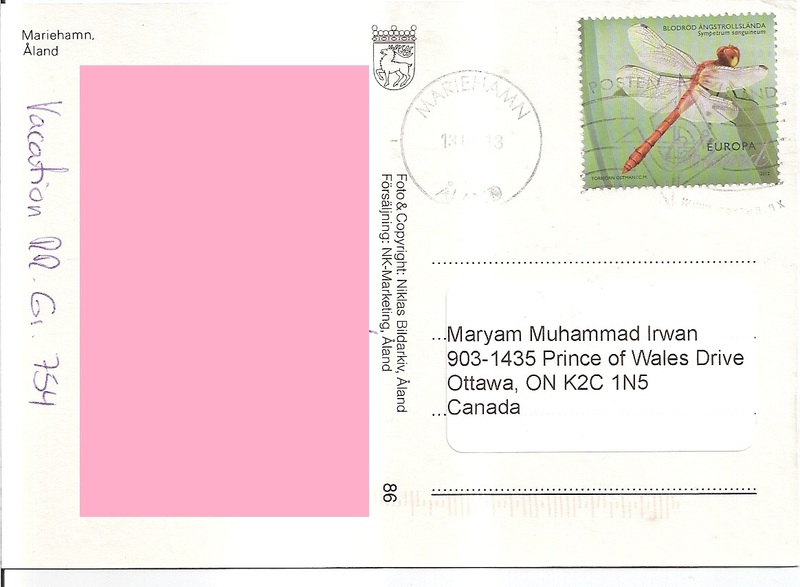 Two cancels from the event were applied with postmark date 31 August 2012. Inside are three postcards from the Istana Kampong Glam, Malay Heritage Centre in Singapore. Here is one of the postcards. Thanks a lot Terence! A cover from Belarus, sent by Andrei Rykhalski for Nice Cover Circuit exchange in postcrossing forum. It’s a blue cover with six colorful stamps! 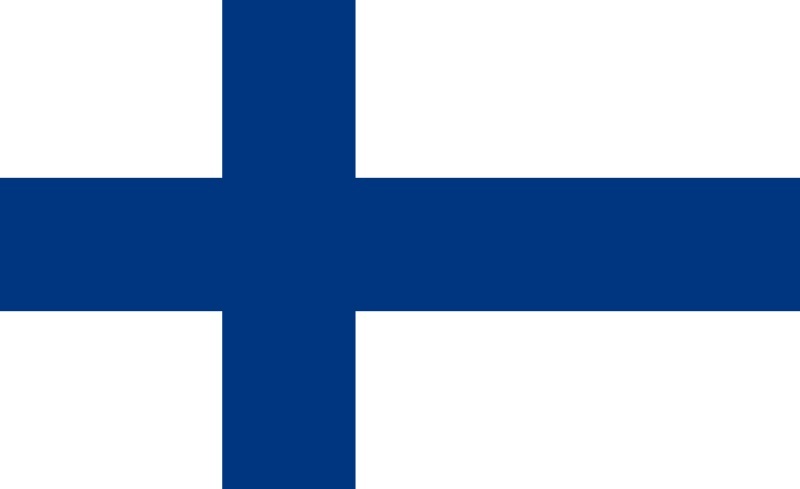 There is a WWF dragonfly, definitive lily, Europa forests, historical tower, owl and Antartic penguins. 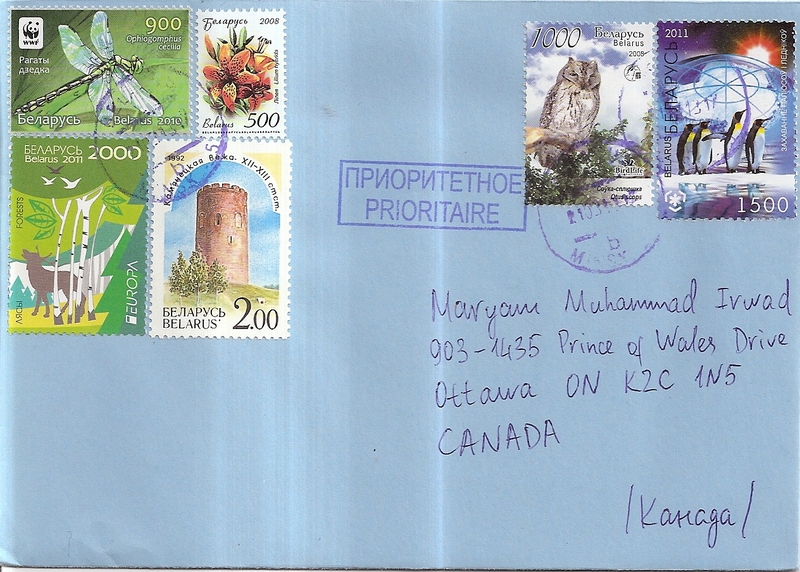 The postmark date is 21 March 2013. 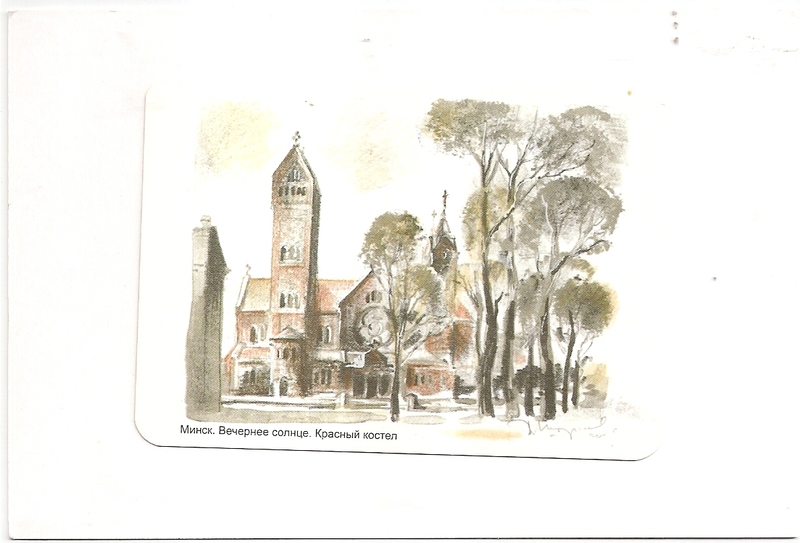 Inside is a postcard with a painting from Belarus. 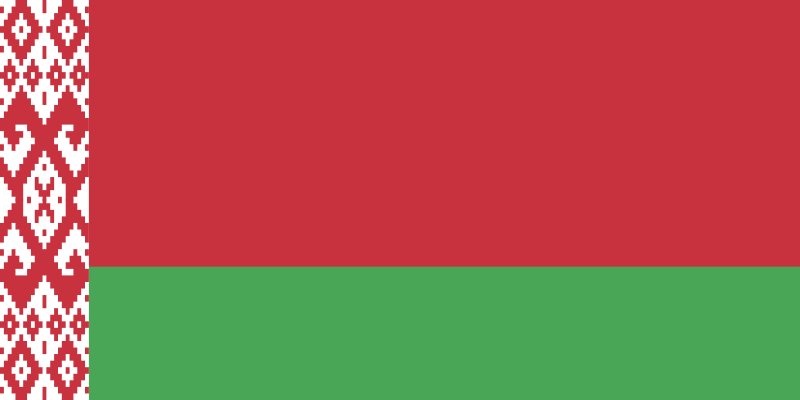 Thanks a lot Andrei!